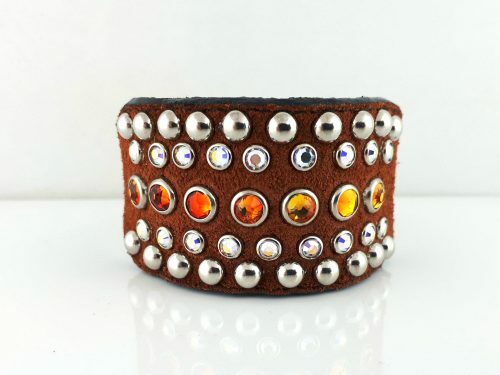 Diva in Italian leather and rust suede with fire opal and AB Swarovski crystals. 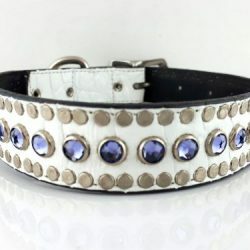 One of our elite dog collars. 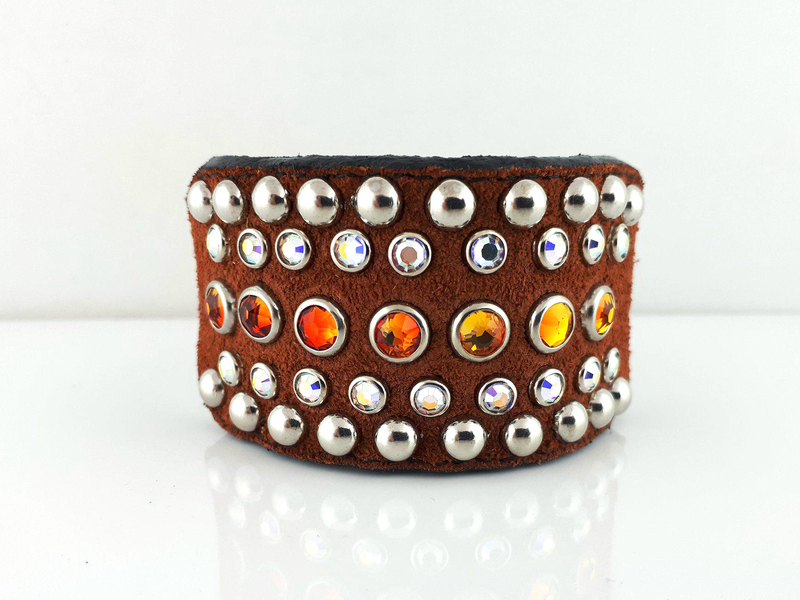 One and a half inch wide collar tapered to 1″ width at buckle, and tip ends with nailheads. 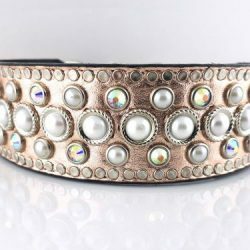 Three rows of Swarovski crystals! Backed with soft black suede. 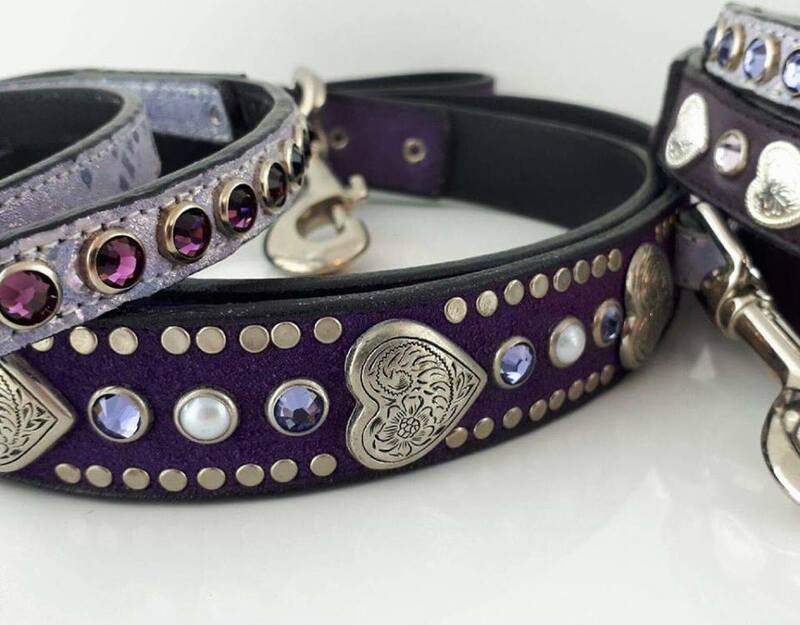 Lovingly handmade by skilled artisans. 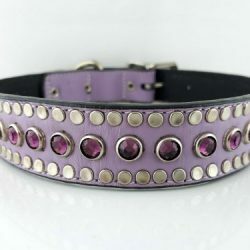 This is one of our premier award winning leather dog collar designs. Diva is also available in a tiny version for smaller animals. 8” x 1 1/2" (tapered 1/2"), 10” x 1 1/2" (tapered 1/2”), 12” x 1 1/2" (tapered 1/2”), 14" x 1 1/2", 16" x 1 1/2", 18" x 1 1/2”, 20" x 1 1/2”, 22" x 1 1/2”, 24" x 1 1/2”, 26" x 1 1/2", 28" x 1 1/2", 30” x 1 1/2", 32" x 1 1/2", 34" x 1 1/2"